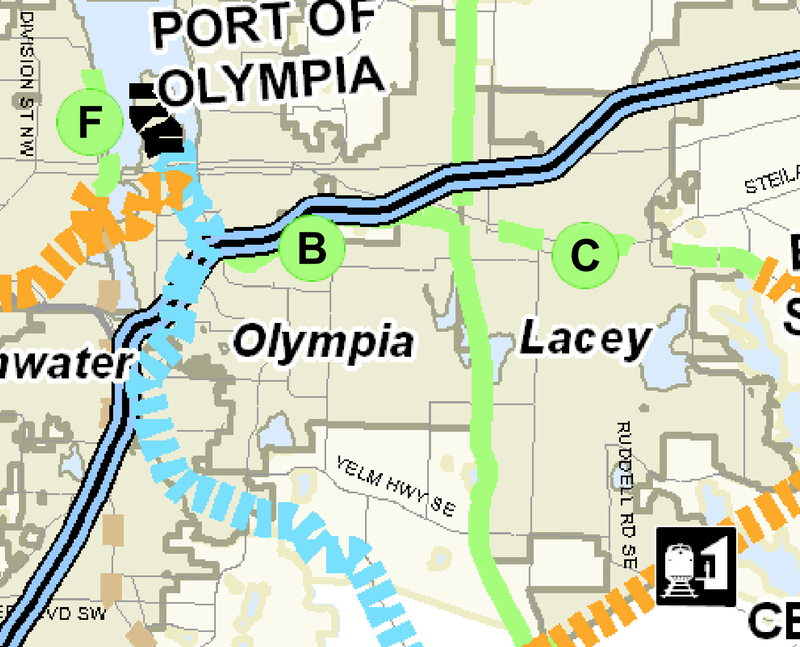 Olympia Time: Why not punch a nice passenger line straight into downtown Olympia through Lacey? That would be awesome to have high-speed rail from the mainline to downtown. The current connection (used by Tacoma Rail to serve the Port and Tumwater Mottman Industrial District) would not suffice. Trains keep to 5 or 10 mph on much of the track.